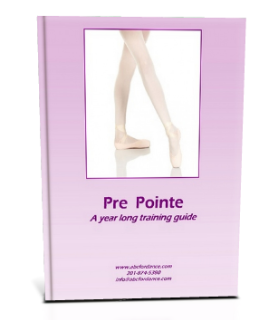 Pre Pointe a Year Long Training Guide is a multimedia reference system for preparing dancers for the demands of dancing en pointe. The program includes a multi faceted screening system to determine the dancer’s readiness for pointe and identify areas of individual focus. Correctional and strengthening exercises (both done in and out of pre-pointe shoes are provided in a progressive format to help dancers both prepare for pointe work and reduce their chances for dance related injuries or compensation issues. 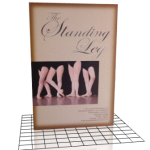 Informational materials are also provided for dancers and their parents to further educate everyone on what is expected and required for a successful transition to dancing en pointe. 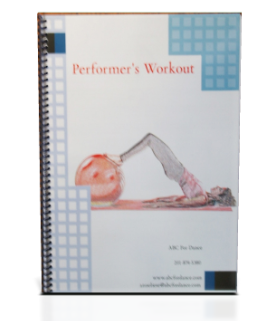 The program consists of a Teaching Manual (pdf format on cd), CD of video clips (Quick Time movie format), and 24 progressive lesson plans on heavy card stock for classroom reference. 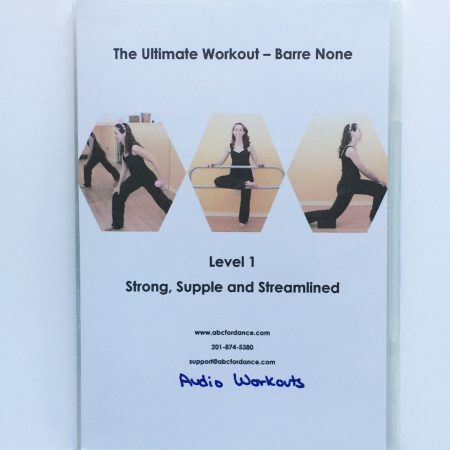 The majority of the exercises included are also demonstrated (with narration of execution and teaching tips) with these clips available on the included cd. The clips are designed to augment the written descriptions of the exercises and not to be done as an actual class. The material in this program is not designed to be performed by dancers under 10 years of age.